No Bruce Waynes allowed! (Vampires considered on a case-by-case basis.) 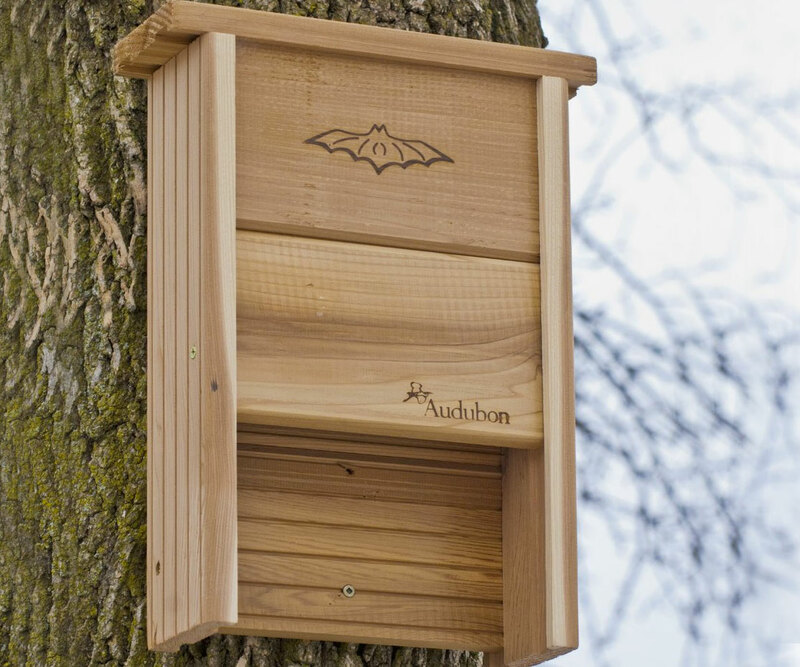 This Audubon Bat Shelter is large enough to accommodate up to 20 members of your bat colony. And for those who haven't yet founded their bat colony, you can read all about why you may want to here. OK, I'll tell you one reason: even though only 3 of the 1,000+ species of bat actually feed on blood, most of them do feed on blood feeders. As in mosquitos. An individual bat can consume up to several hundred mosquitos in around an hour. 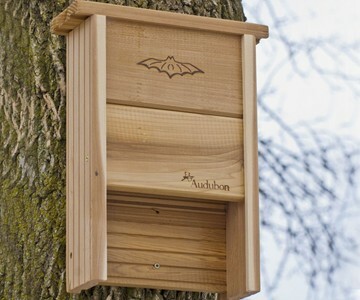 That means if you install an Audubon bat house in your back yard and put out the flying mammal welcome mat, you could have a bug-bite-free (or at least -reduced) summer of BBQs, lawn darts, and anti-gravity afternoon naps. This bat shelter's interior surface and landing platform are made from rough cedar, with grooves for clinging when roosting and landing. Zinc plated deck screws and pre-drilled holes facilitate mounting, which is recommended at 8' to 12' off the ground, in a tree or under the eave of a building. 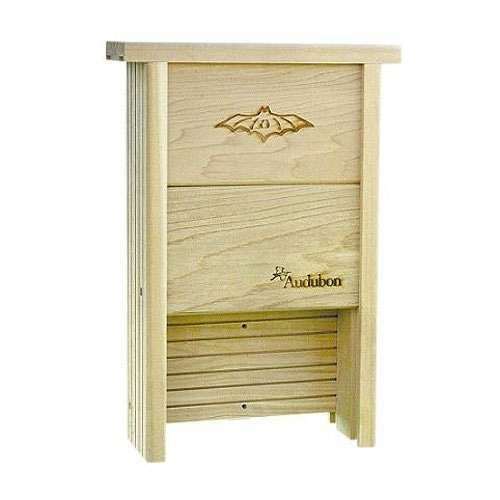 The Audubon is suitable for big brown, cave, eastern pipistrelle, evening, little brown, Mexican free-tailed, northern long-eared, pallid, pallas' mastiff, rafinesque's big-eared, southeastern, and yuma bats.